Maritel Nievera got married at only 17 years old to a Pampagueño who happened to own a small restaurant. During that time, her husband asked her to help in the family business but little did she know that she would end up managing the whole operations in the next 10 years. Nievera eventually separated from her husband when the marriage did not work. She wanted to be away from Pampanga and moved to Quezon City, where she bought a small property using the proceeds she received from the separation. Being a single parent, Nievera needed to find a source of income to feed her two children. Without an educational qualification to rely on, having dropped out from college at a young age, she thought that the only skills she knew was to manage a restaurant. Using the property she bought in Quezon City, Nievera decided to put up her own restaurant, a Kapampangan specialty dining place called Cabalen. 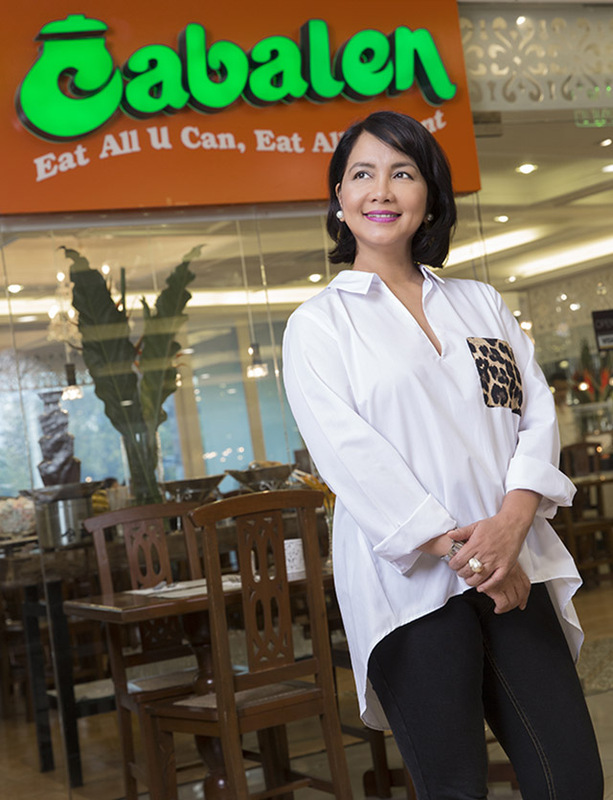 Just like any other startup, she built the restaurant almost single-handedly, from the design of the restaurant to the brand logo to recruitment of restaurant crew from Pampanga. The first Cabalen restaurant was so successful that in a few years, Nievera started to expand by opening more branches in major malls. Today, Cabalen is the largest Kapampangan specialty chain in the Philippines with over 30 branches, and another 20 expected to open by year-end. The Cabalen group of restaurants also ventured into other food brands such as Mangan restaurant, Soi, BKK Express and EatPinoy, among others. A differentiated marketing strategy enables a business to develop a competitive advantage in a market that is dominated by larger competitors. “When I was conceptualizing the restaurant, I used to visit the most popular Filipino restaurants in Manila and we would dine there together with my children to try out the food and study their menu,” Nievera says. “I realized that all the restaurants were simply offering the same food with different names. I thought that there was no way for me to compete if I would just copy and be like them. When customers love a product or service, they are bound to talk about it. The recommendations they make are much more highly valued than those that are advertised. “When I did Cabalen, I knew that people will associate our restaurant with good food because Pampanga is known as the culinary capital of the Philippines, but nobody knew about us,” Nievera explains. “One day, we had a customer who happened to be a food columnist of a major newspaper. I did not know her until she wrote an article about us, specifying how good our Kapampangan food was. Because of that publicity, our sales improved significantly. That was where I saw the value of marketing. “When Cabalen was becoming known in the community, a group of people from SM leasing visited and dined at our restaurant. After they ate, they offered us a space at the fourth floor of SM Megamall, which was newly opened at that time. One of the biggest challenges to business success is learning how to understand and respond to changes in the competitive environment without losing focus to achieve goals. “There was a time when our sales suffered terribly because we had one competitor who was offering a buffet service at a very low price,” she says. “The business model of Cabalen then was high-end, a la carte style, and the low price buffet of our competitor made it difficult for us to compete. Setting service standards enables the business to deliver products and services in a way that consistently exceed customers’ expectations. Providing quality service plays an important role in promoting customer satisfaction and making customers happy. 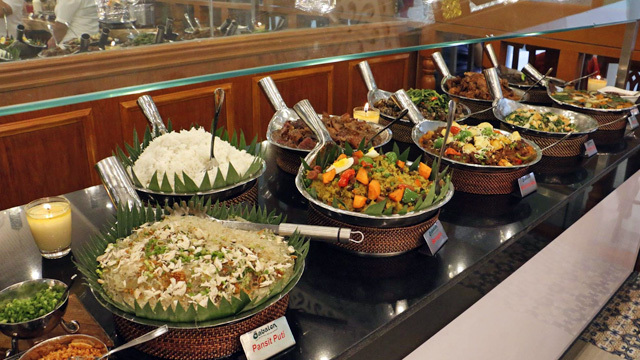 “It is easy to manage the quality of food if there is only one restaurant, but if you have multiple restaurants, it is more difficult to maintain the same quality,” Nievera says. “This is why setting standards is important. Developing new products to fulfill ever-changing needs of customers is one way to drive long-term profitability of the business. By coming up with new ways to improve products and services, the business not only increases its productivity but also the value of its brand. “One thing that I am very hands-on with is the food,” she says. “I am in charge of the research and product development. I will know when our food is not cooked right. I think the secret of becoming a successful restaurateur is being able to understand what good food is all about.